Join us on Sunday, June 2nd at McLellan Park for the Lisaard and Innisfree Annual Hike for Hospice! Gather a team of friends and family, challenge your co-workers or join as an individual to help support end-of-life care in your community. Check-in and entertainment starts at 9:30 am and the walk begins at 10:15am. Two routes available- 2.5 km or 5 km. The routes are accessible for all ages and abilities. Participants are also invited to honour the memory of a loved one at this meaningful community event. Note that this is a dog friendly event. 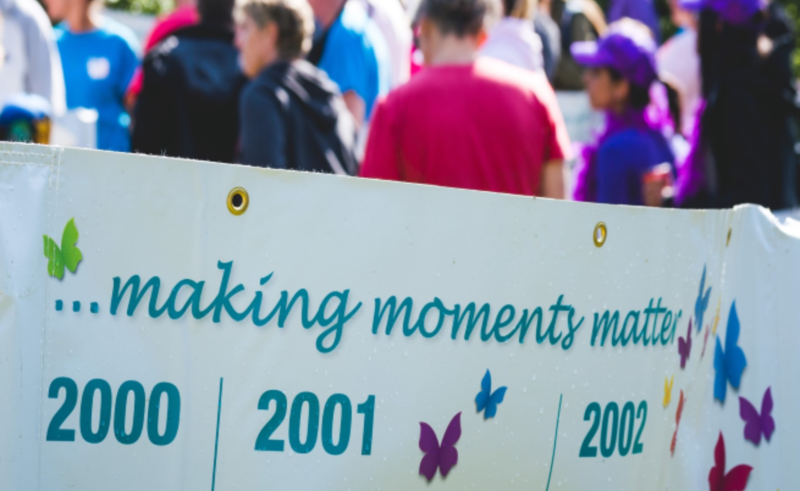 Lisaard and Innisfree Hospice depends on community support for almost half of its operating costs, making events like Hike for Hospice truly meaningful.Thank you for helping Lisaard and Innisfree Hospice provide the best in end-of-life care for our families, friends, and neighbours. 3. Join us on June 2nd as we Hike for Hospice and celebrate your success! There will be some great door prizes as well as rewards for top fundraisers. Pledge forms to collect cheque and cash donations can be found here. We can always use a helping hand - if you are interested in volunteering at this event, please complete the Volunteer Registration form. Collect pledges to join the Lisaard and Innisfree Hike For Hospice. Registration is $20 which includes morning snacks, lunch and tshirt and a chance to win great prizes. The top fundraising team will also win fabulous prizes! Help a particpant reach their fundraising goal. Download our Fundraising Tips.pdf and raise more money!